This webinar will assist the Tax & Accounting Professional in dealing with the legal terms, share structure and requirements to be included in the Articles of Incorporation in order to properly plan for the future growth of the corporation. Share structure becomes everything when dealing with Canadian Controlled Private Corporations in regards to tax and succession planning. Different share attributes allow for different treatment – whether through voting control, dividend sprinkling or succession planning. In addition, share structure determines future events that can and will occur. When it becomes time for your proprietor/partner clientele to incorporation, their lawyer will ultimately call you to determine the authorized share capital of the new corporation and “an unlimited number of common shares” is not the answer! Be prepared and help your clientele get it right the first time! A full outline of the questions to be answered is available here. Presented by ATAP in partnership with Knowledge Bureau. The webinar will be 1 hour in duration, and qualifies for both Knowledge Bureau and ATAP CPD Credits. 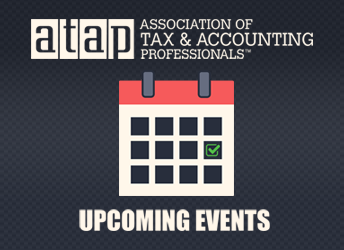 The next ATAP Webinar is scheduled for November 15, 2017 and will cover "The "Meat" of Incorporation".